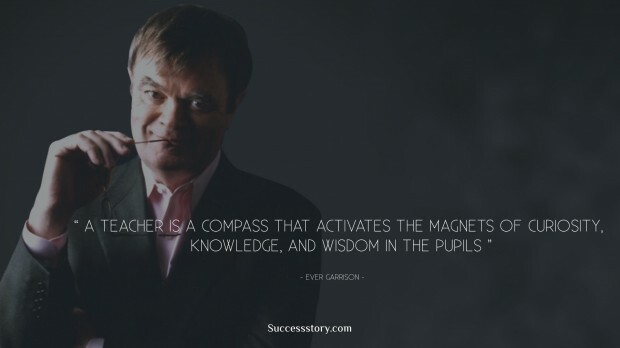 Ever Garrison is an author and teacher famous for his quotes. Not too much is known about Ever’s childhood or even his current life. He has written several quotes on teaching as well that gained immense popularity amongst teachers and educative institutions. He strongly believes that teachers are the compasses that activate the magnet of curiosity, wisdom and knowledge in students. He also believes that a really good teacher teaches his or her students from the heart and not from the book. Absolutely no information is divulged about Ever’s current whereabouts.